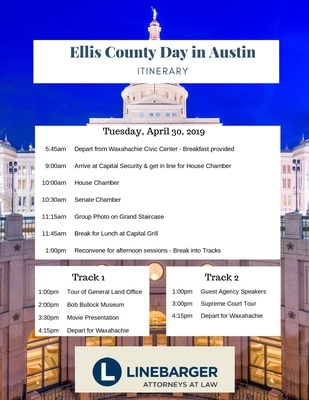 Join your Ellis County Chambers during this informative day of exploring Texas history, learning about the legislative process, and getting first-hand updates on the topics currently affecting you and your business. 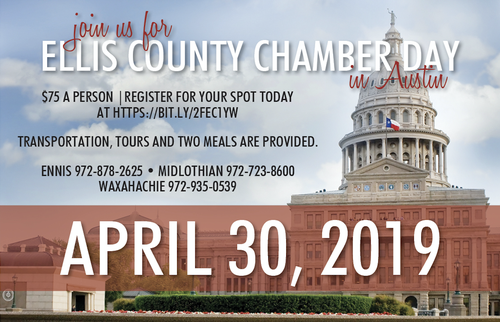 Two meals , travel, and tours are provided. Please see itinerary below for information to select your Track.